After a lot of reading and drooling over various 3d printers, I finally pulled the trigger and got myself one: the Monoprice Select Mini 3D. This is a budget printer and the design was focused on low price, versus performance and speed. I am not interested in producing large, very artistic, or decorative prints, so this is not a problem for me. 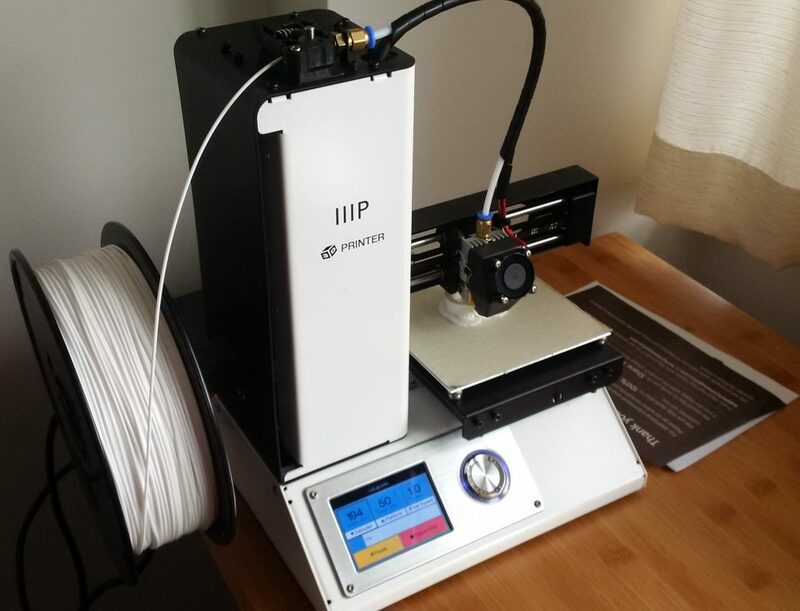 The price: for US $200 you get a fully assembled and ready to go 3d printer with a heated bed. Compatible with multiple filament types and brands (PLA, PETG). Easy set-up and ready out of the box (except if you have a power supply issue like me, see below). Very active community of owners. Decent quality prints out of the box. A more powerful, 2=32bit ARM based microcontroller. Small size and good looks, making it a nice desktop printer. 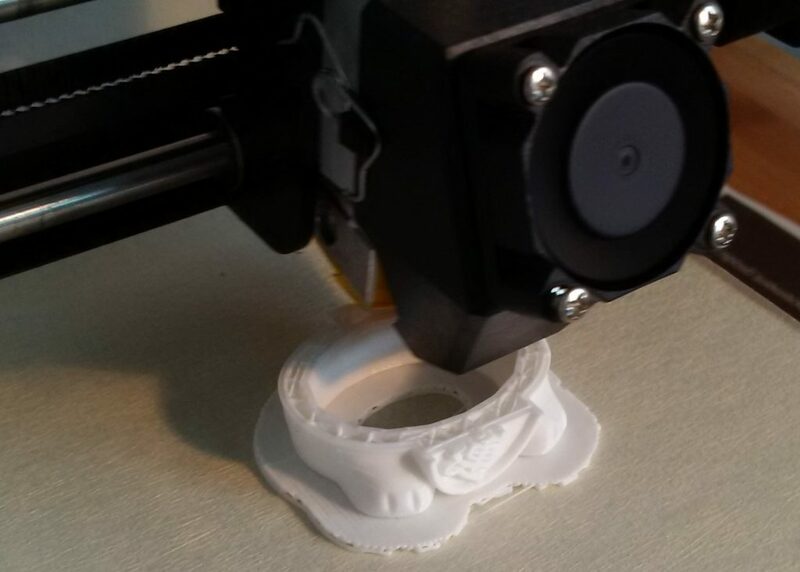 The small size of the printer has a downside: print bed size is limited to 12 cm X 12 cm. Common issues with the stock power supply. I definitely experienced this one! Z axis wobble: the Z axis on this printer is a M4 lead screw with a very fine thread. Mine looks bent a bit, not enough to cause major issues, but certainly noticeable. My Select Mini 3D printer stock power supply was dead on arrival. This was naturally, very disappointing! I would have normally returned the product, but I knew others had this issue and had ordered a spare from Amazon ahead of time. I think I definitely got a lemon, as I continue to get some power issues when I print with the heated bed on. The printer occasionally would re-set in mid-print and would start from scratch, generating a plastic ball of strings. Based on the large number of people having no such problem with their Select Mini, I attribute this to a defective unit, rather than a consistent problem with the product. I mostly print with PLA at the moment, so the heated bed is not required. I suspect there is some short with the bed heater wires and will need to investigate further. I also had some screws not fully tightened and most annoyingly the hot end was not tigh against the headed block. This resulted is some plastic oozing out of the gap and creating a bit of a mess overtime. Again, easily fixable, once you figure it out, but for some one new to 3D printing like me, these things a re magical and strange. MP Select Mini 3d Printer working on printing the sample Cat file included on the SD card that came with the printer. 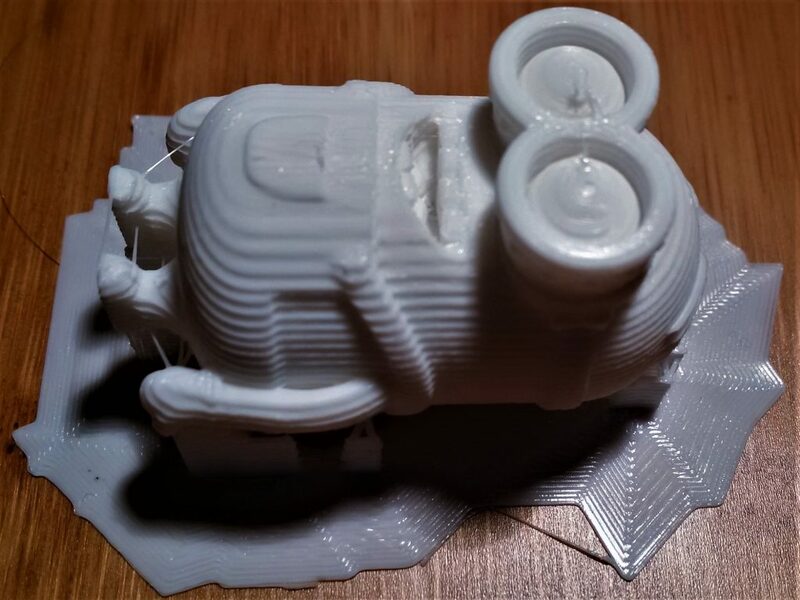 And here is the finished print of Minion Dave by Poh from Thingiverse. I may have gone a bit overboard with the brim on this one :-). And a final piece of advice for 3D printing newbs like me: be prepared to tinker with many cryptic options in software, spend a lot of time leveling and fine tuning your 3D printer and getting some failed prints, until you figure the optimal settings. Still, the satisfaction of creating something from scratch and seeing materialize (slowly) in front of your eyes is worth it!